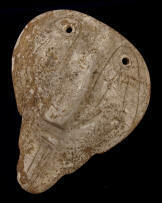 Description: Super Shell Mask from Tennessee - Loudon County, Tennessee. 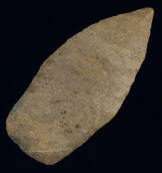 Ex- James McNabb. 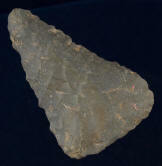 Comes with a Davis COA grading it a G10. Description: Partially Drilled Banded Slate Winged Banner Stone - This Partially Drilled banner is made from a very nice piece of Banded Slate. It is drilled It is drilled about 1 5/16 inches of the way through the banner. 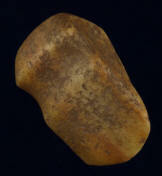 This is our second time to be able to offer this banner. 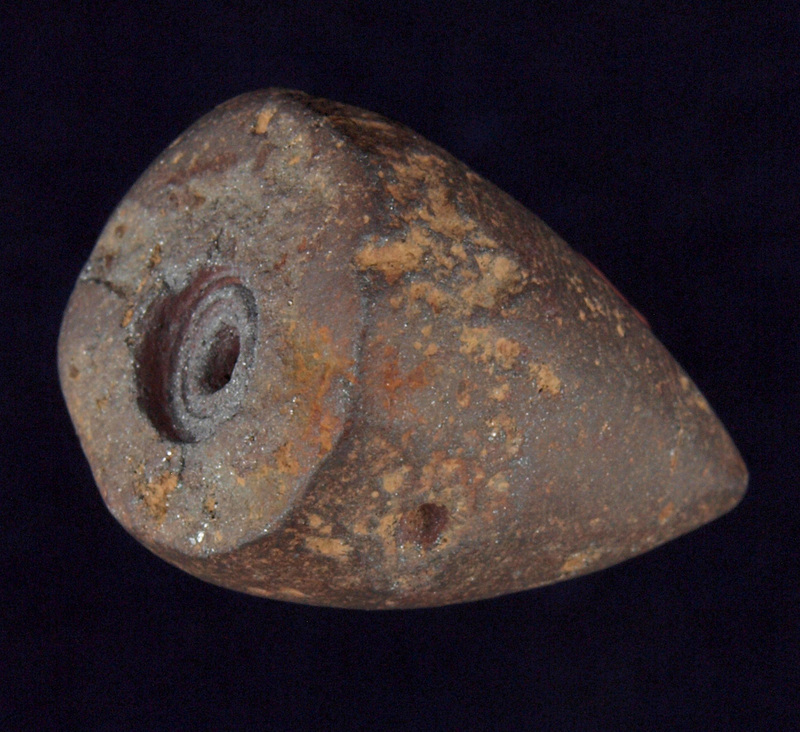 From The Roy Hathcock Collection. 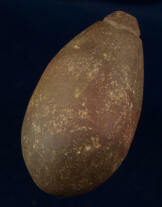 Ex- Hathcock, Ex- Monty & Jewdy Pennington. 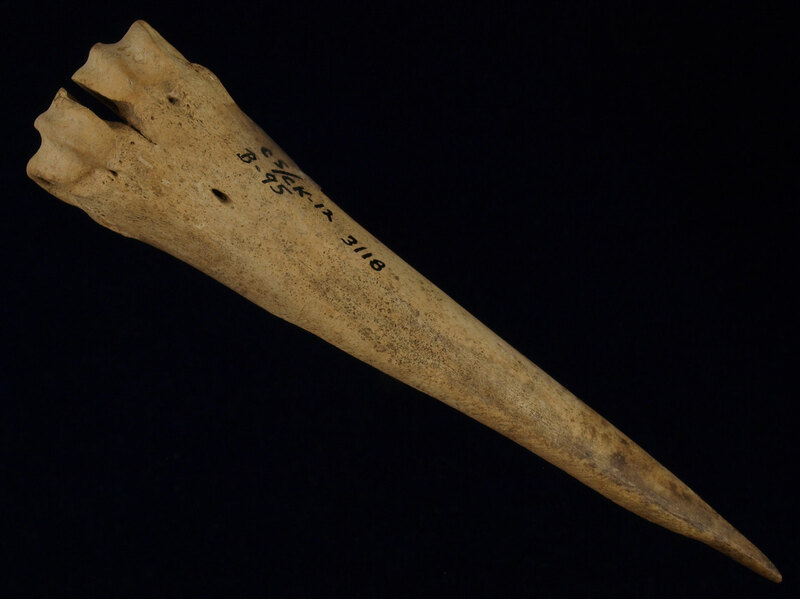 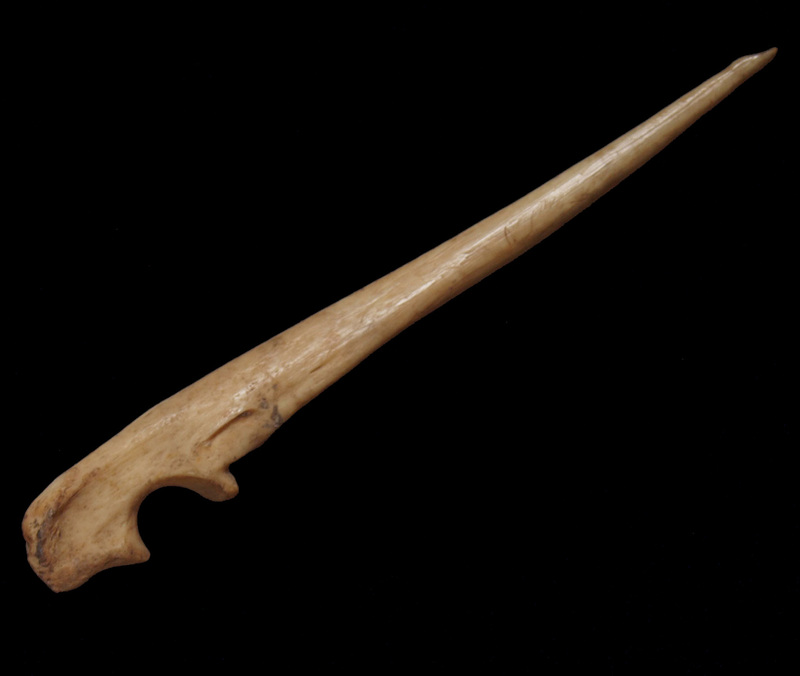 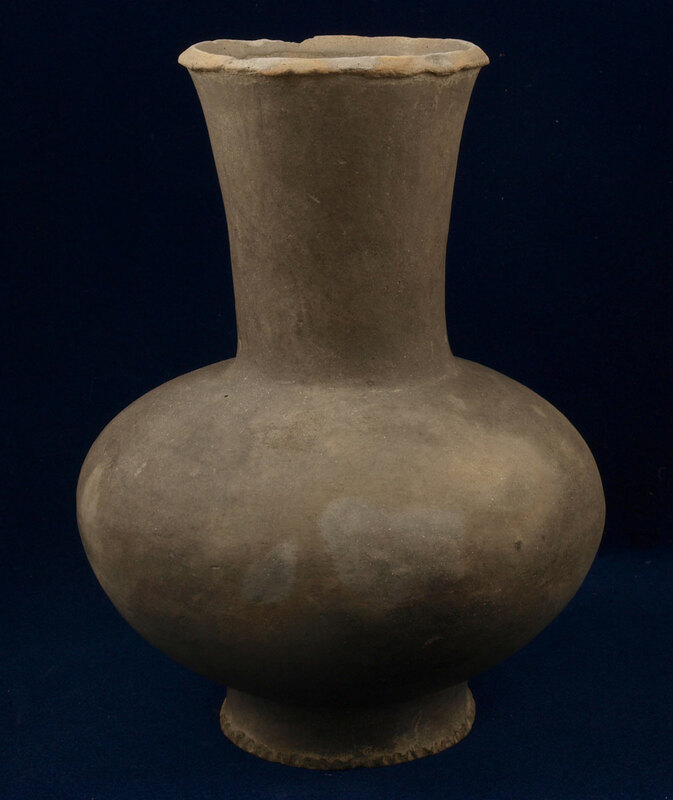 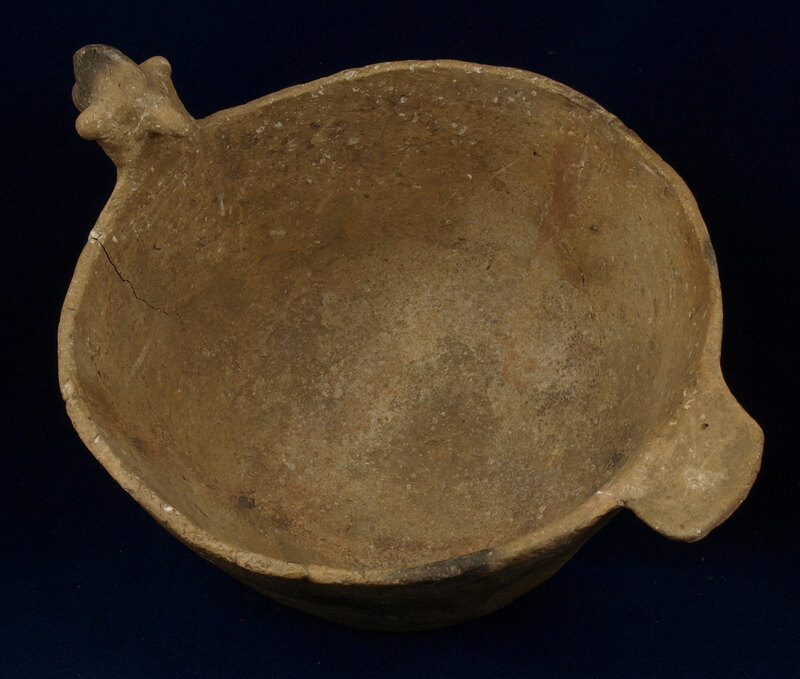 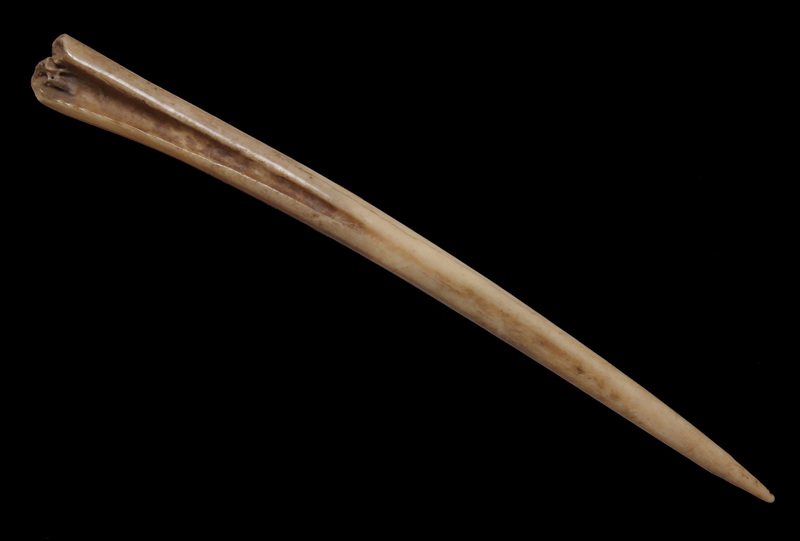 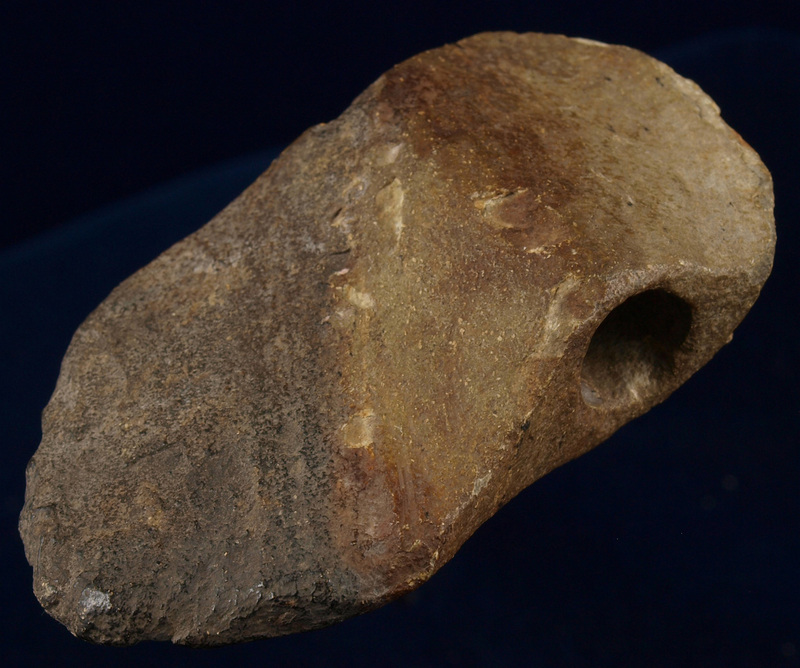 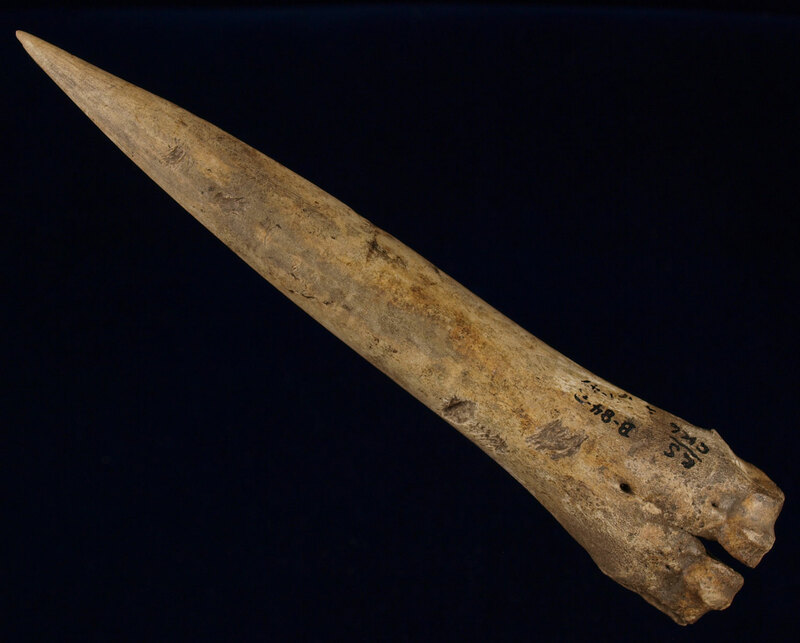 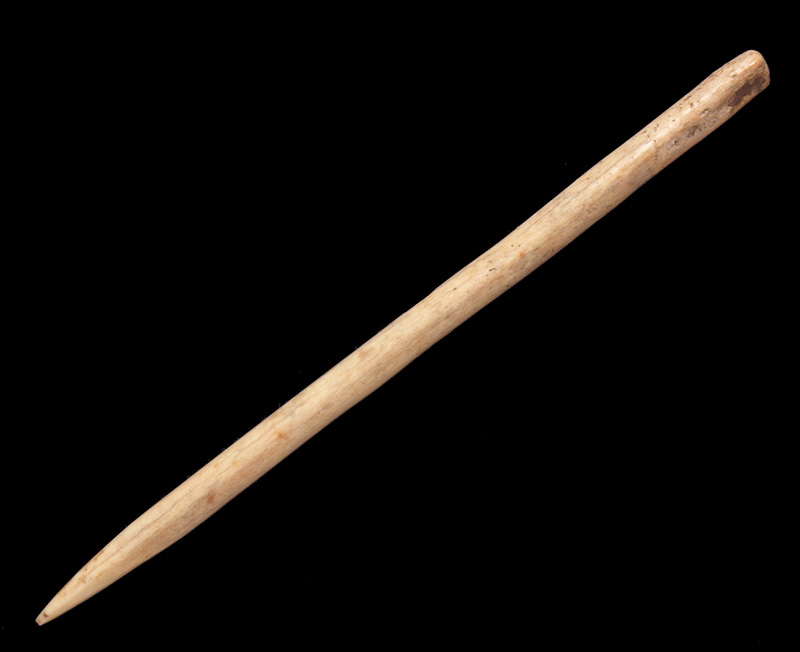 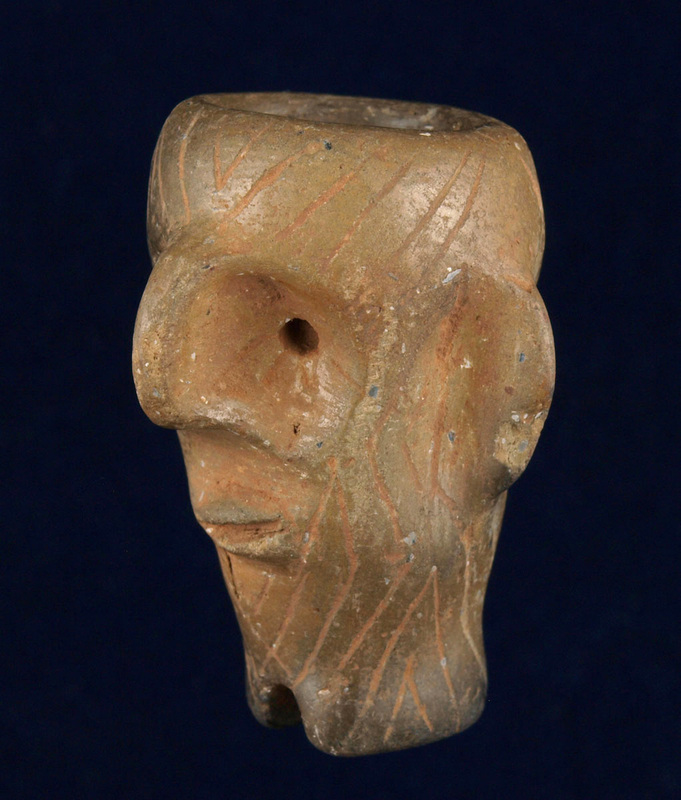 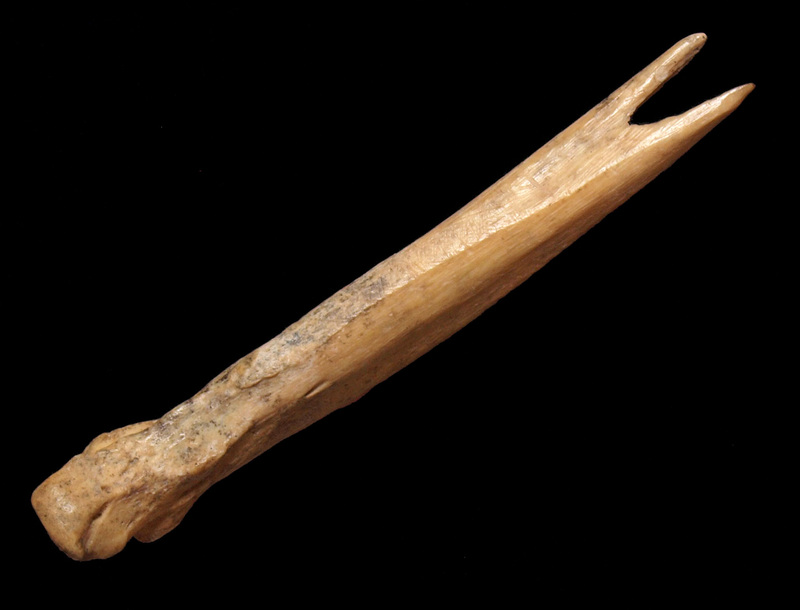 Description: Human Head Effigy Pipe - from Western Kentucky collection. Comes with both a Tom Davis COA G10and a Sam Johnson COA G9. 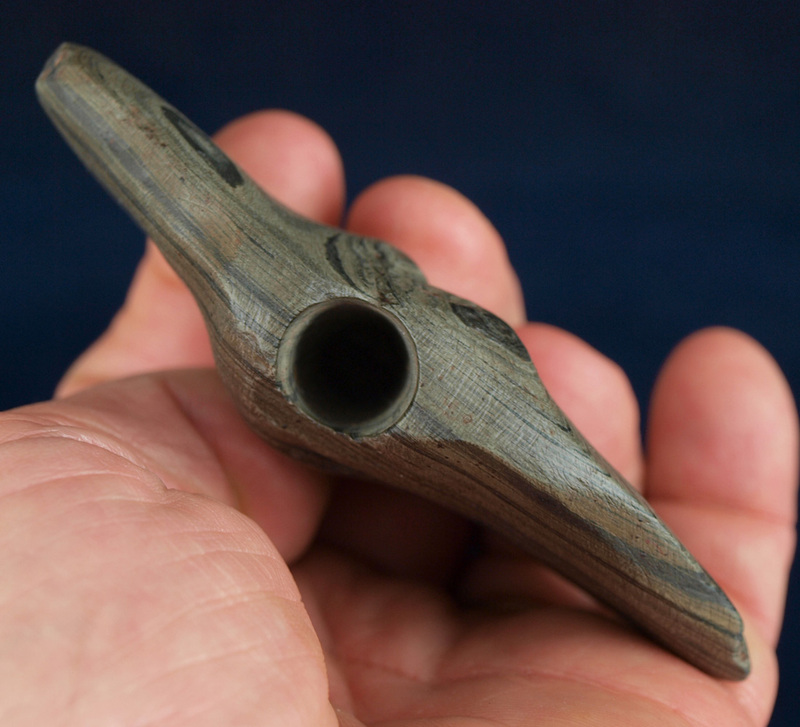 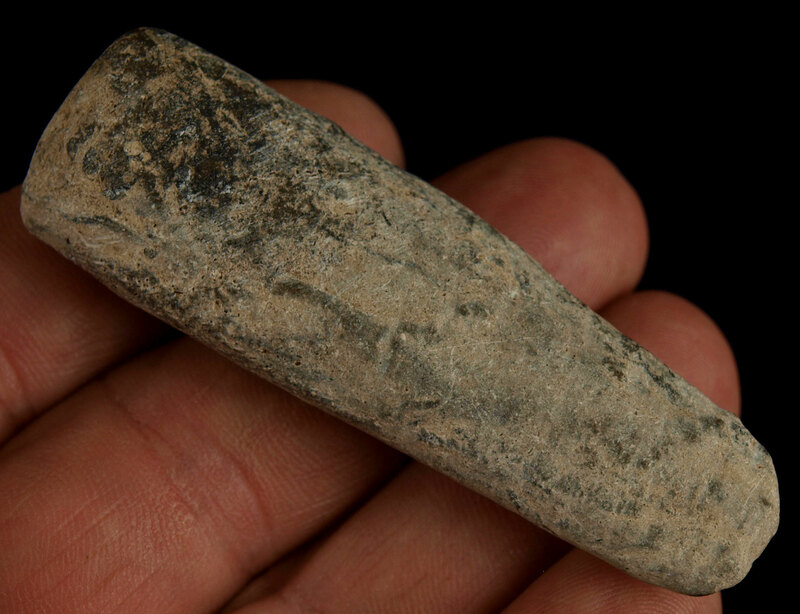 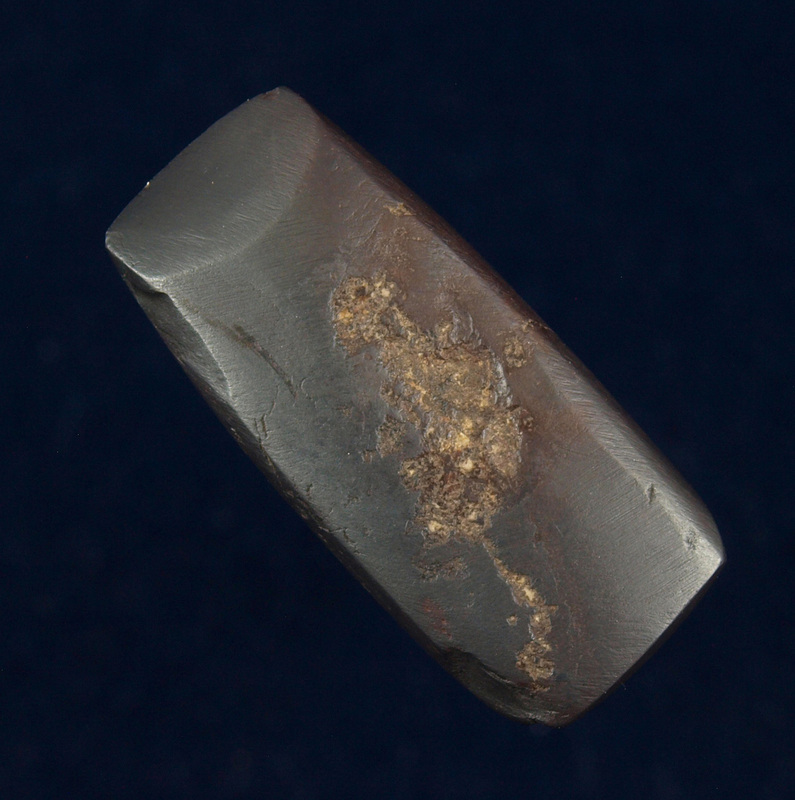 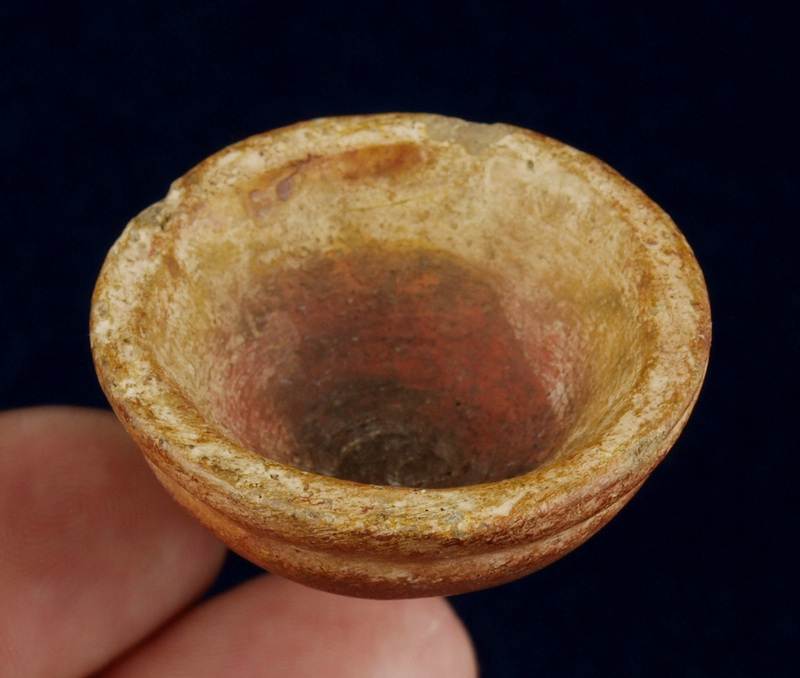 Description: Salvaged Hematite Plummet Pipe Preform - Found near Poverty Point Louisiana by Jack Kent. 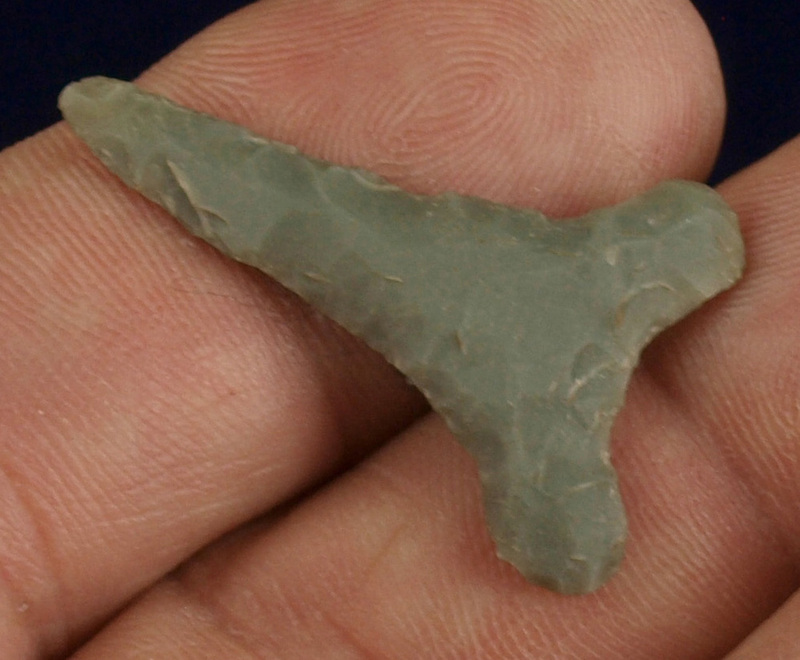 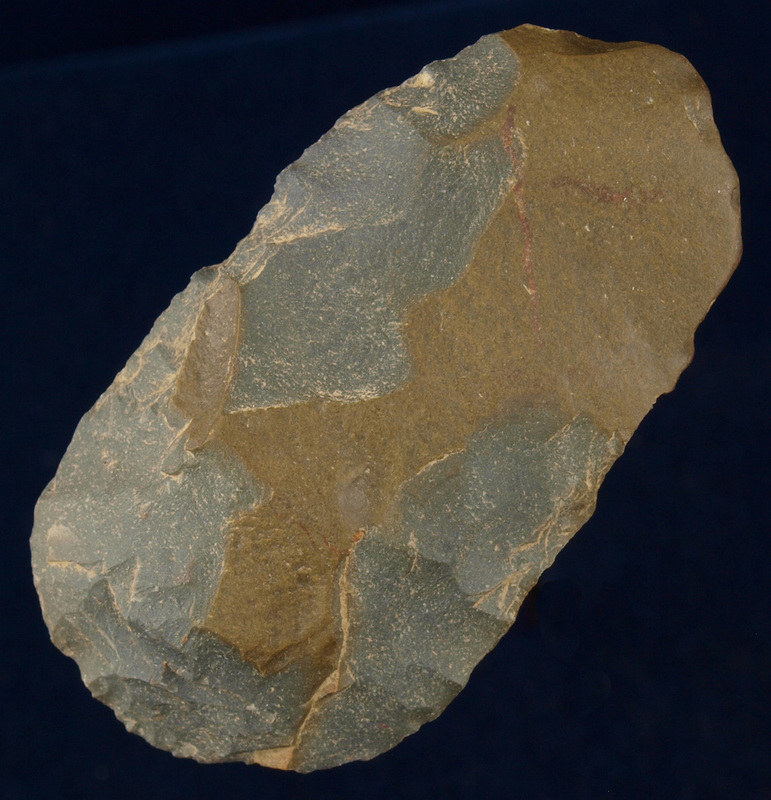 Description: St. Louis Green Chert Decatur - This beautiful example was recovered in Kentucky missing 1/2 inch of tip. 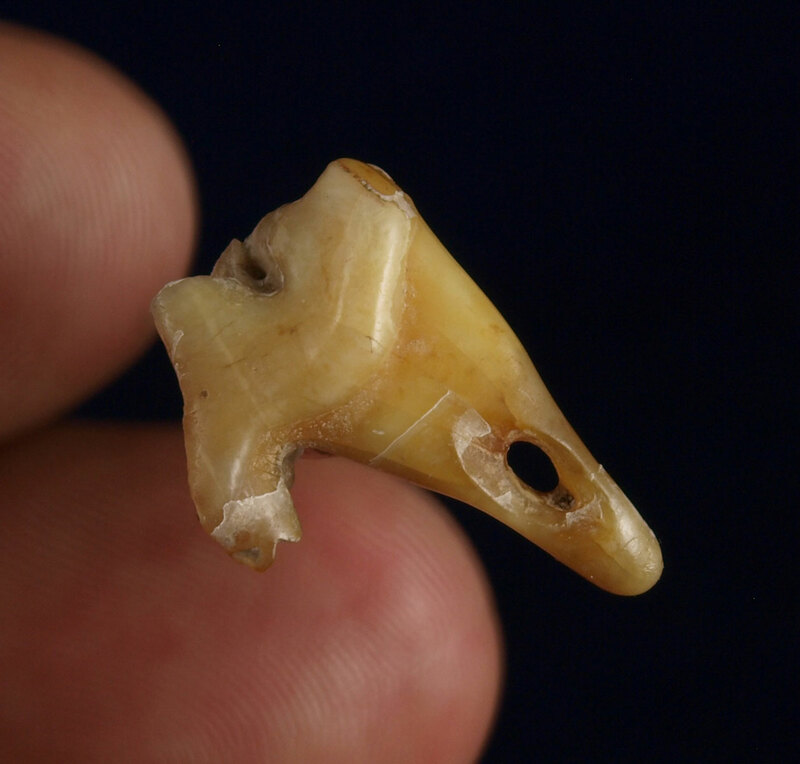 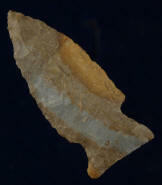 The tip was restored and is marked by a faint orange colored line. The rest of this thin and well flaked example is original. This piece was a gift from a friend and is shown for an example of the type and material. 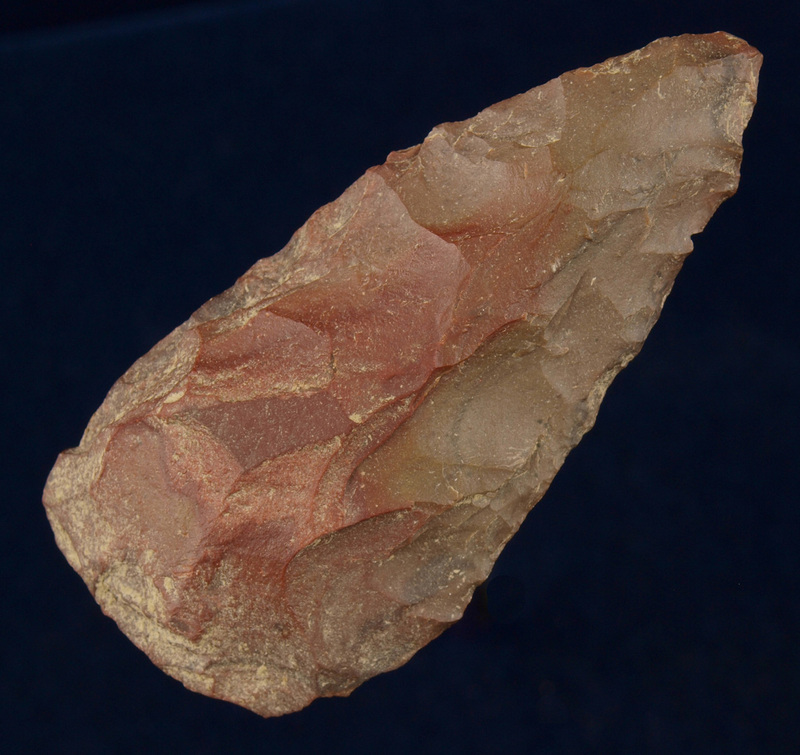 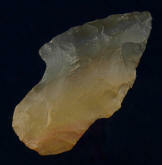 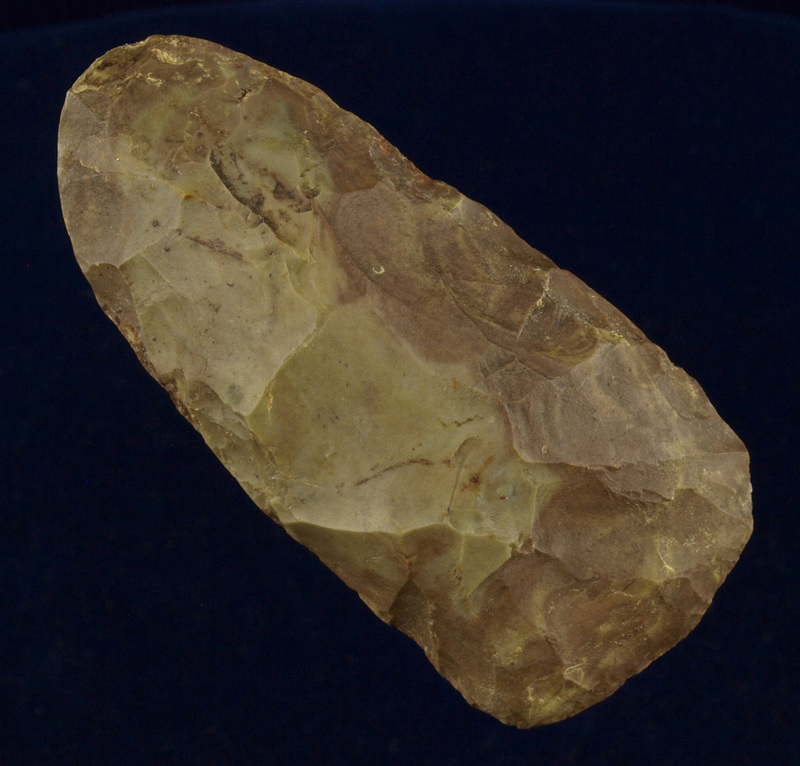 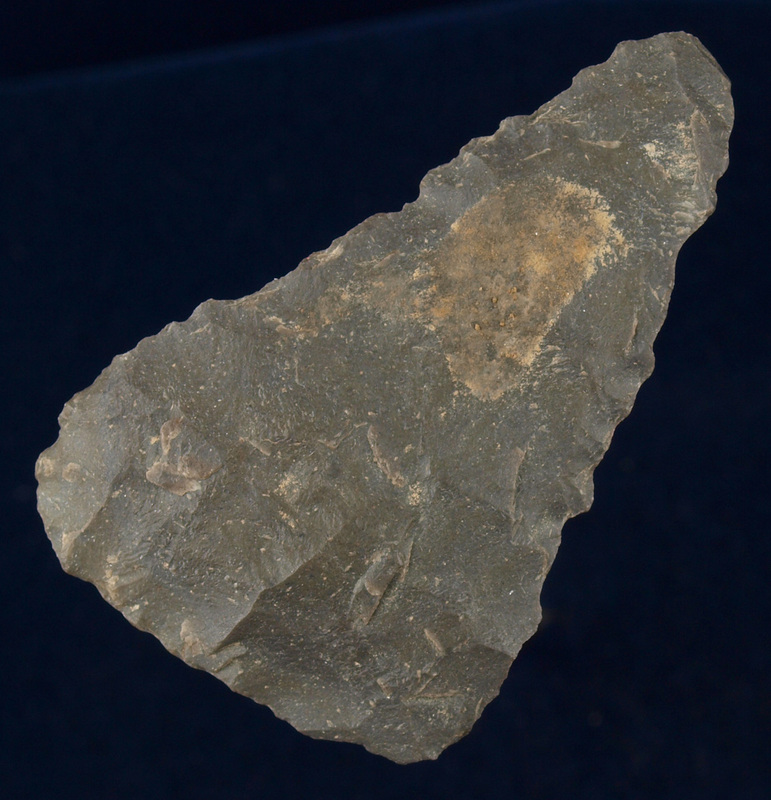 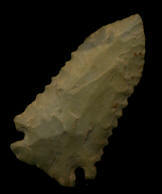 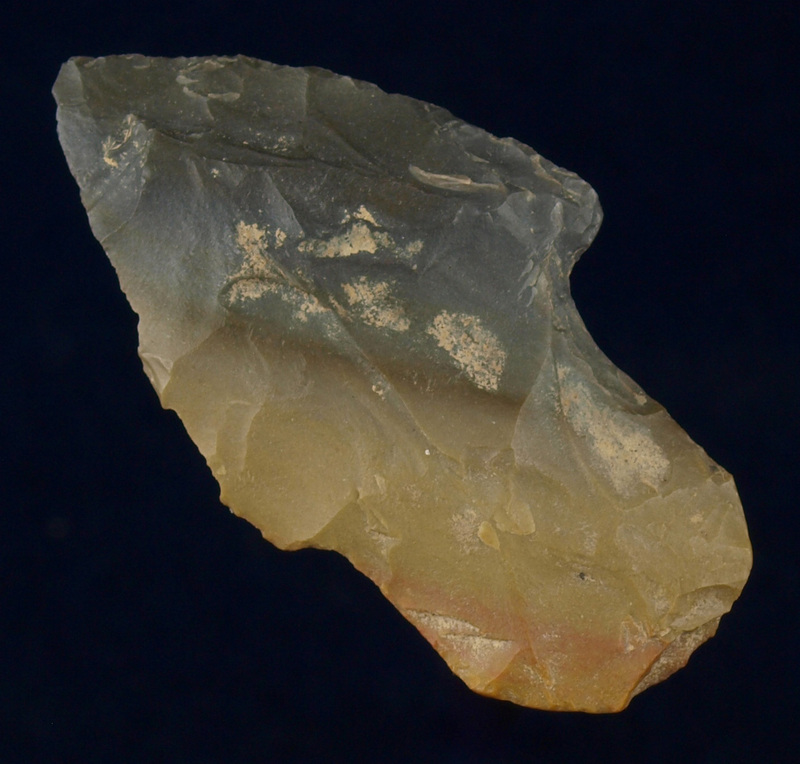 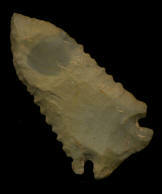 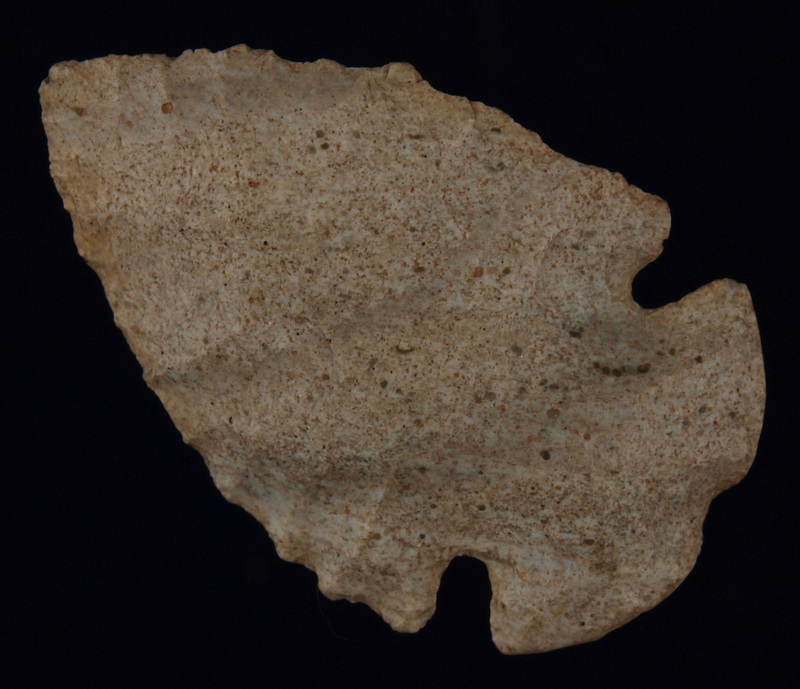 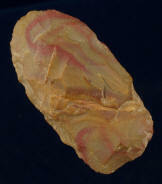 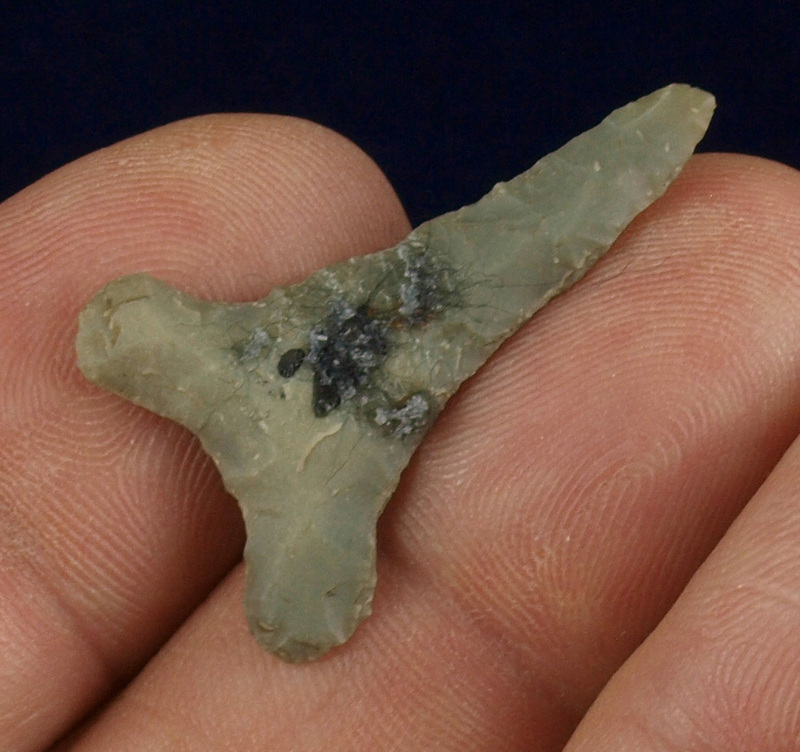 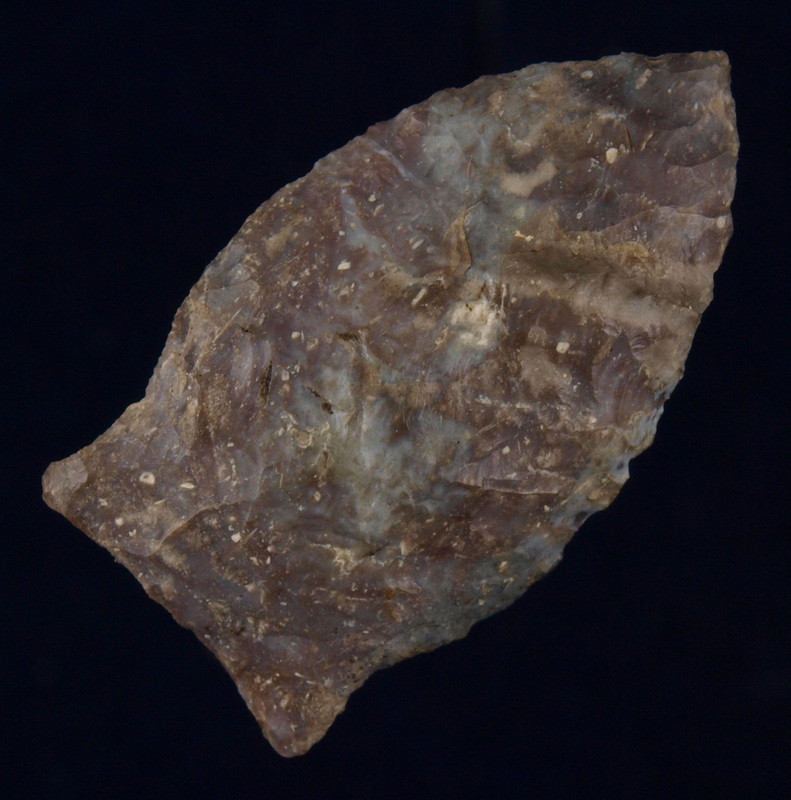 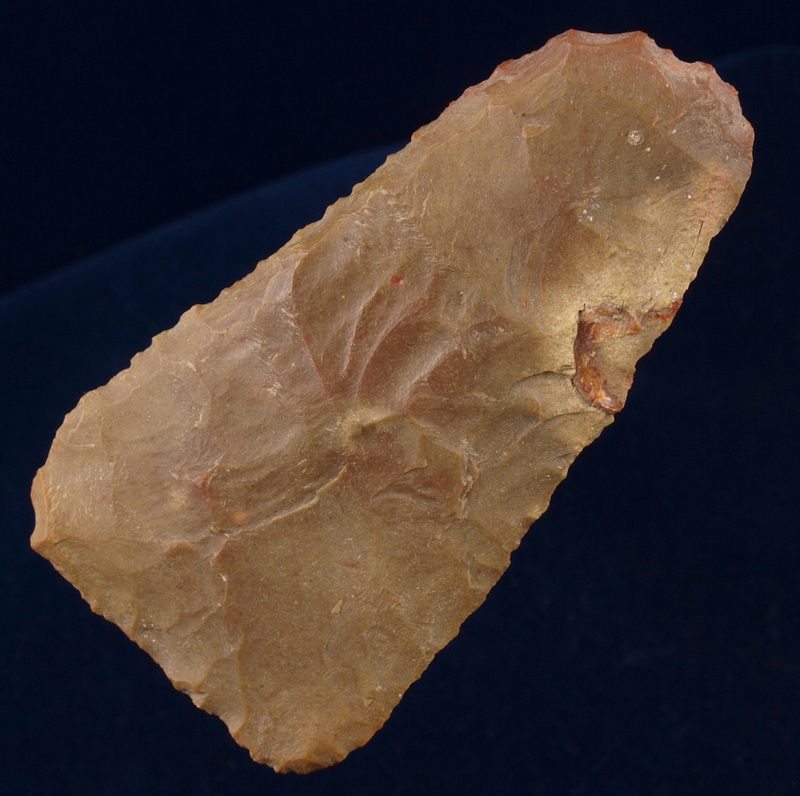 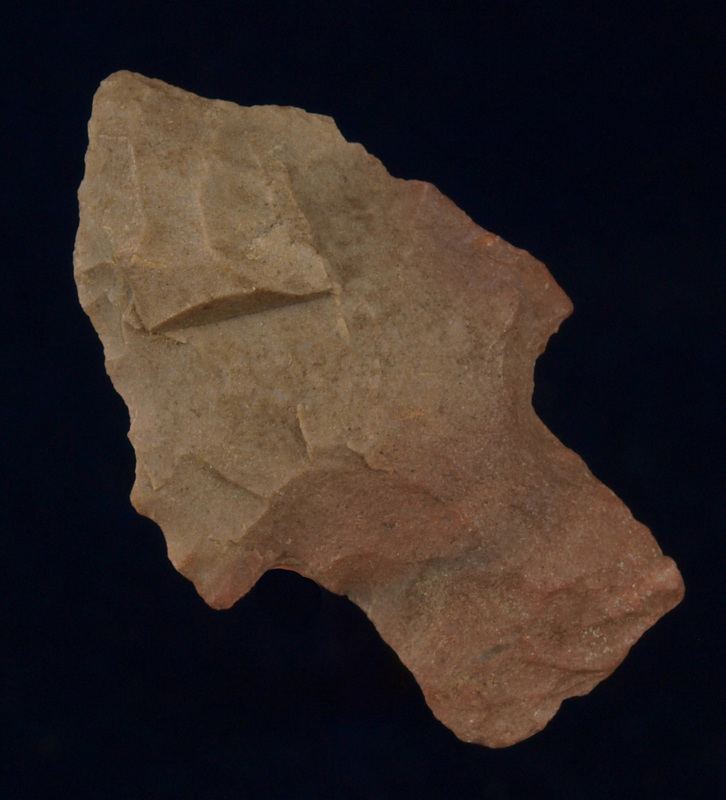 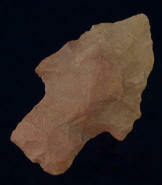 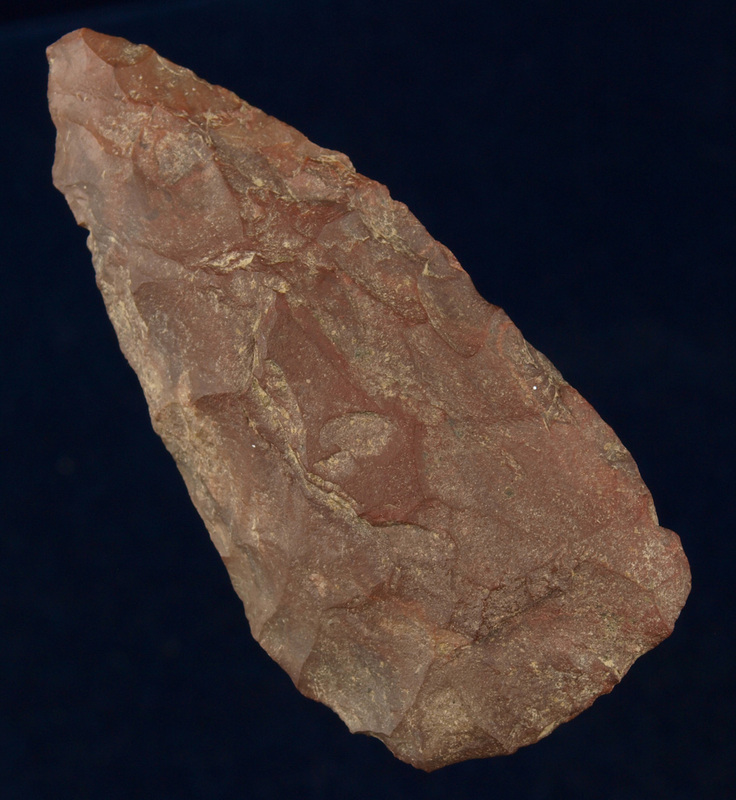 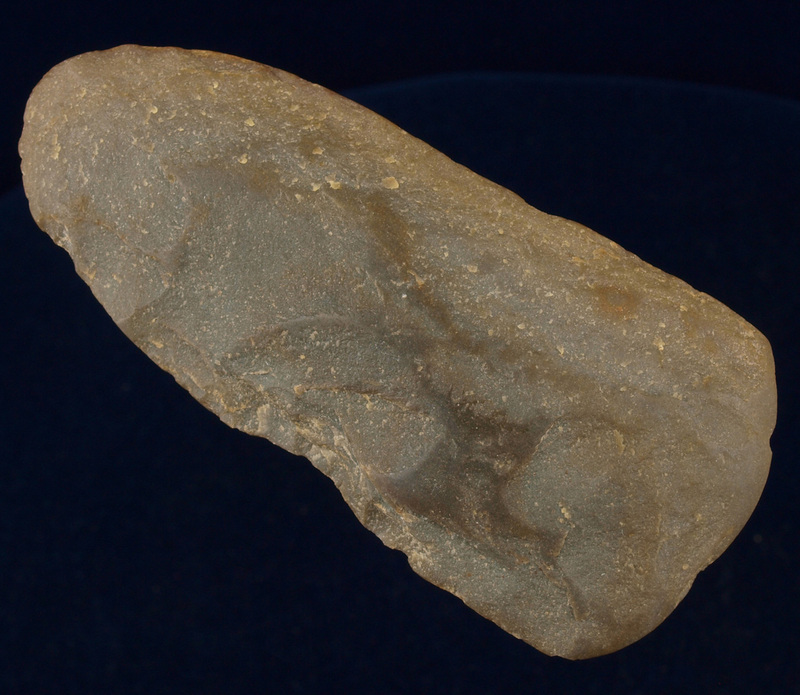 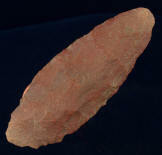 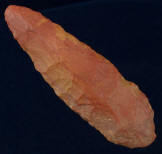 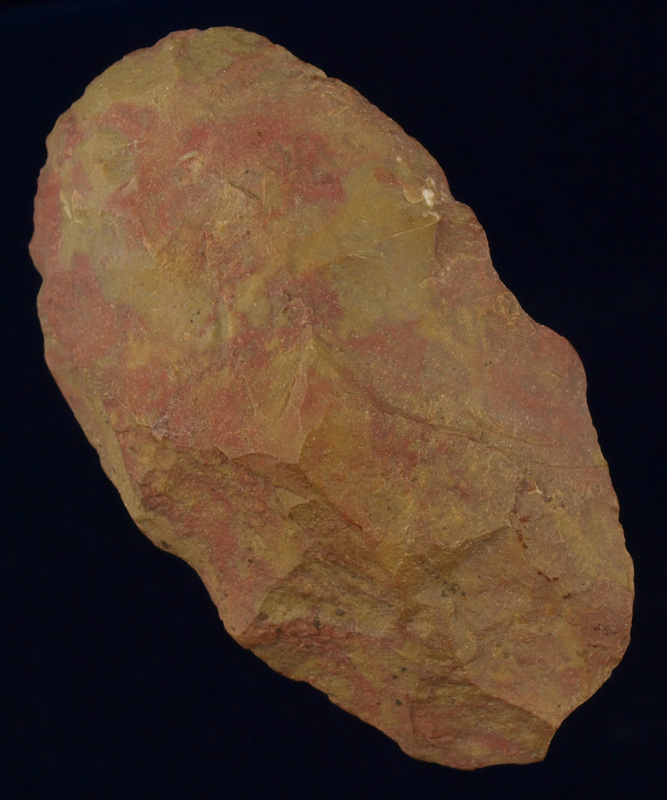 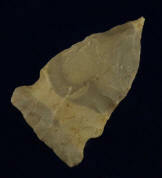 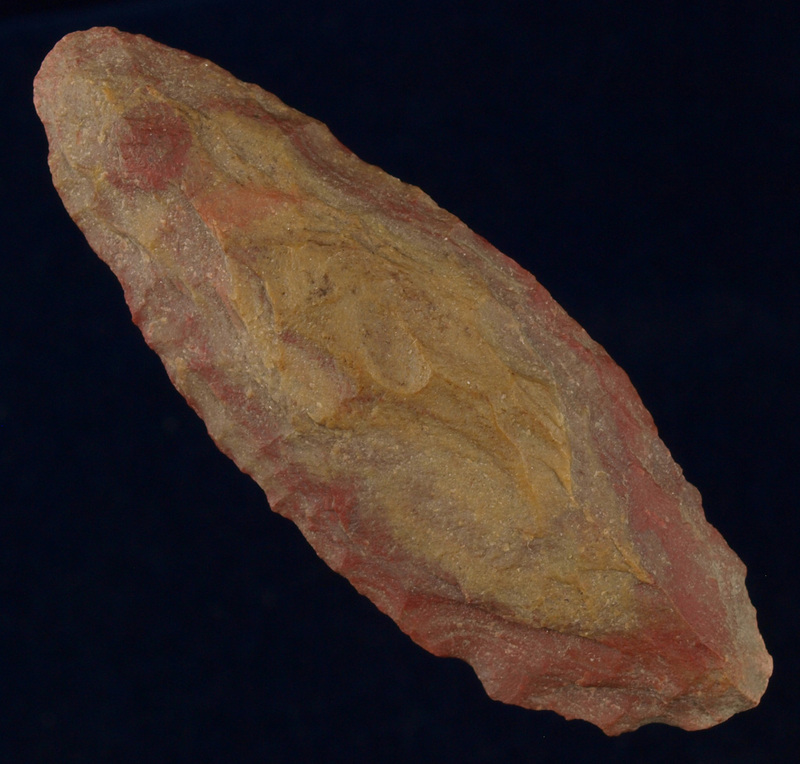 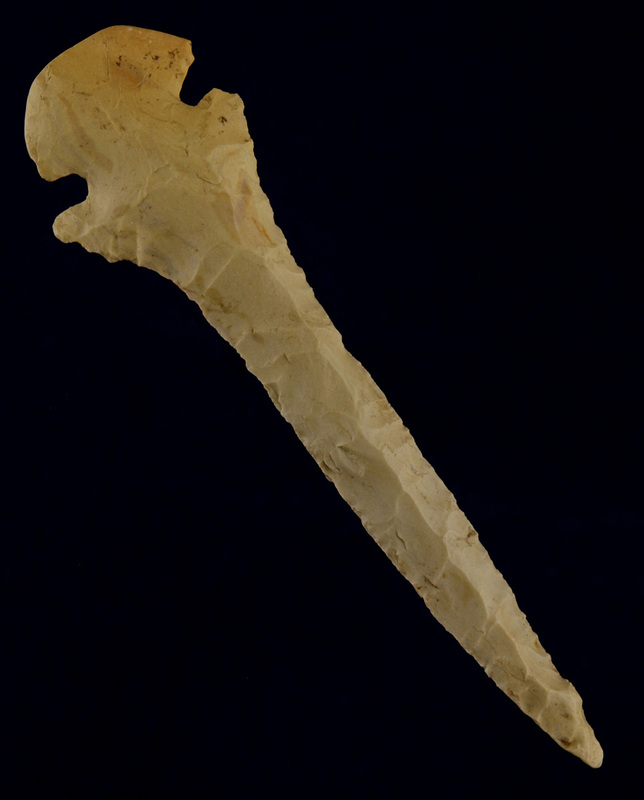 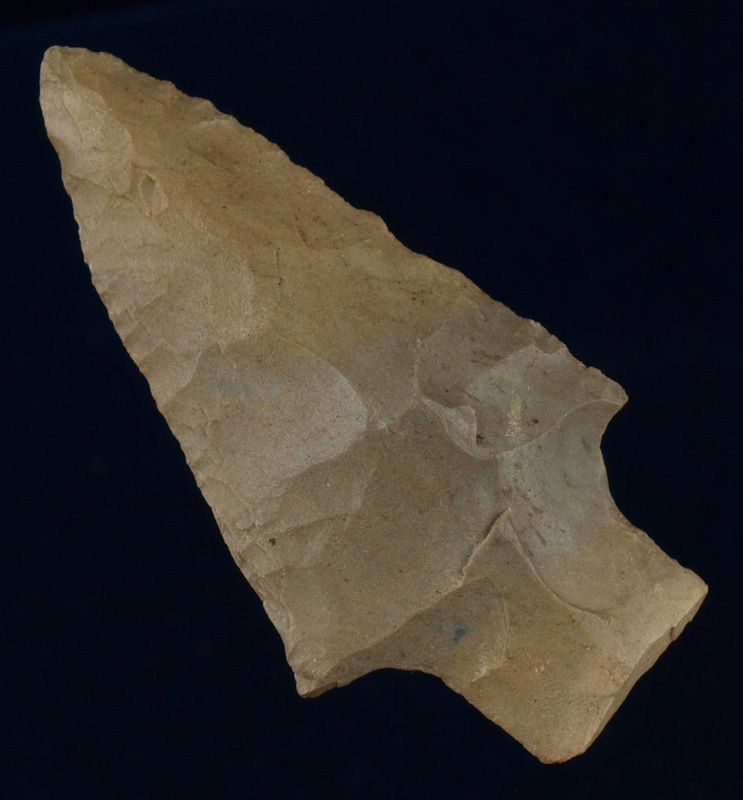 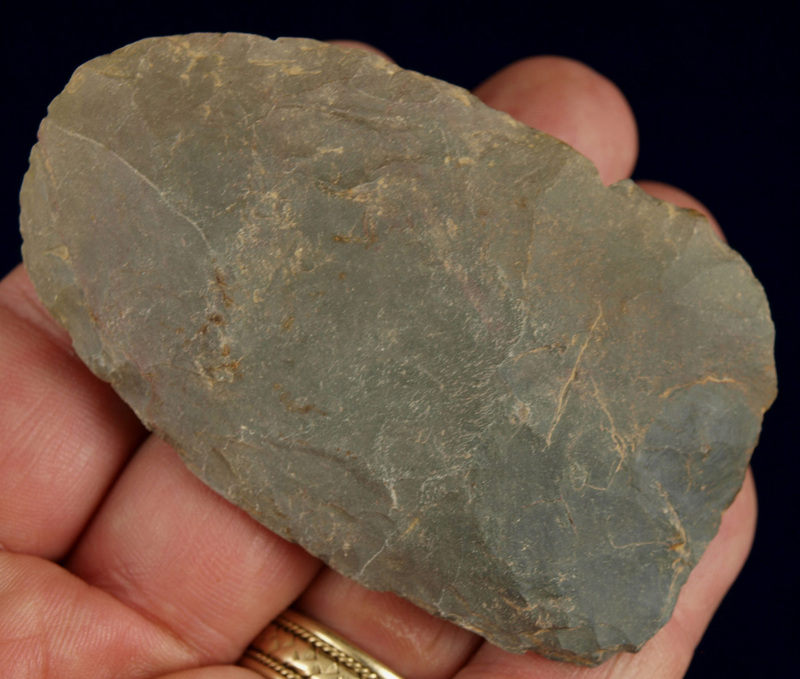 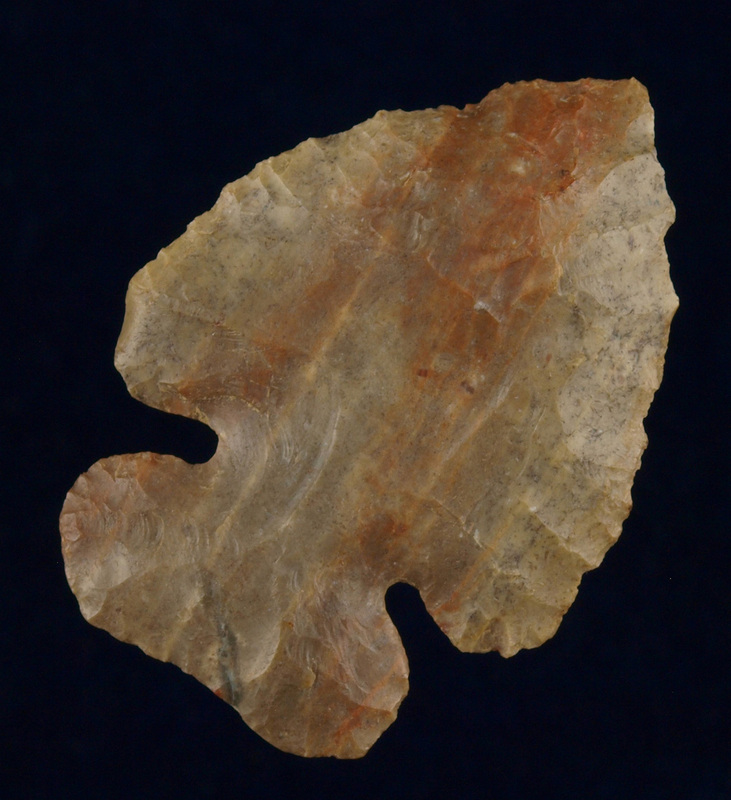 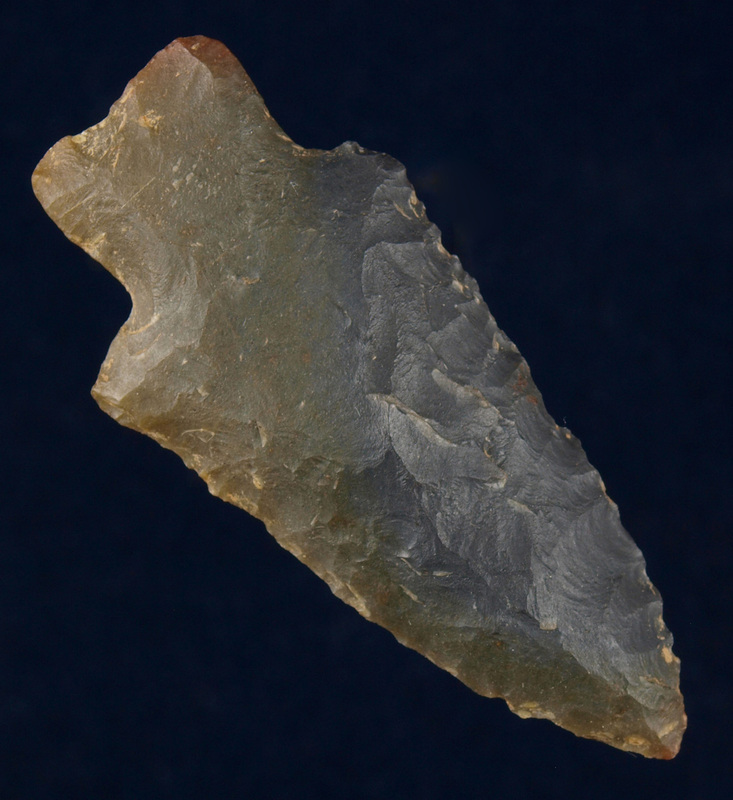 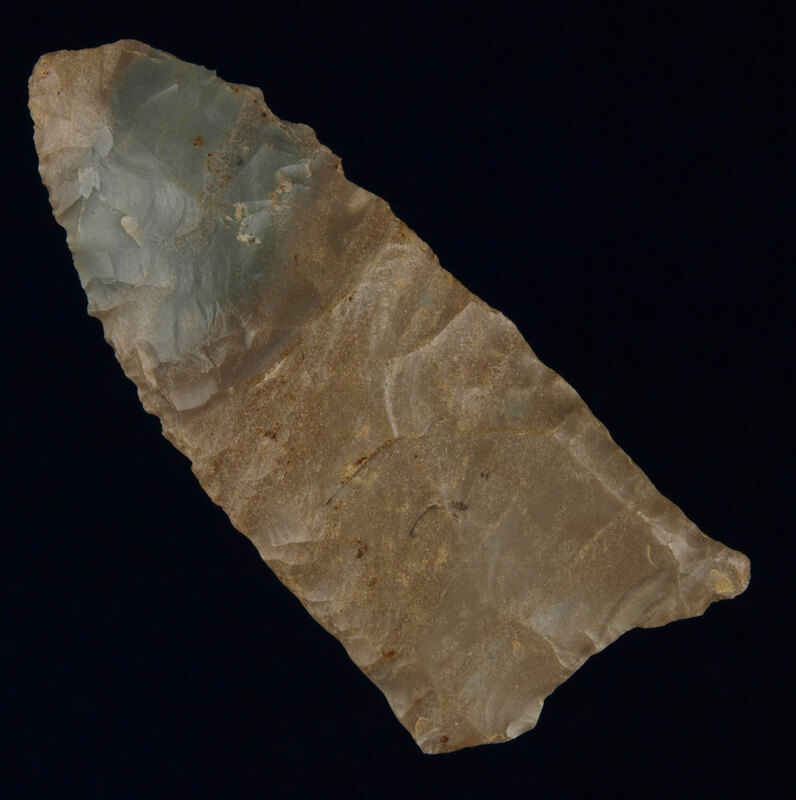 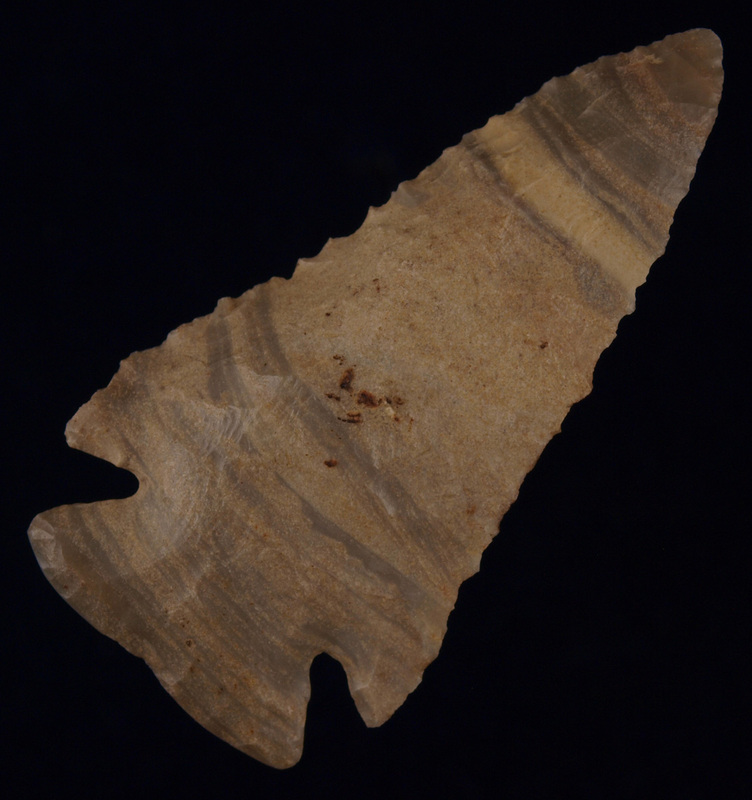 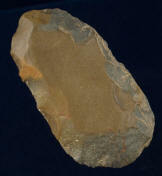 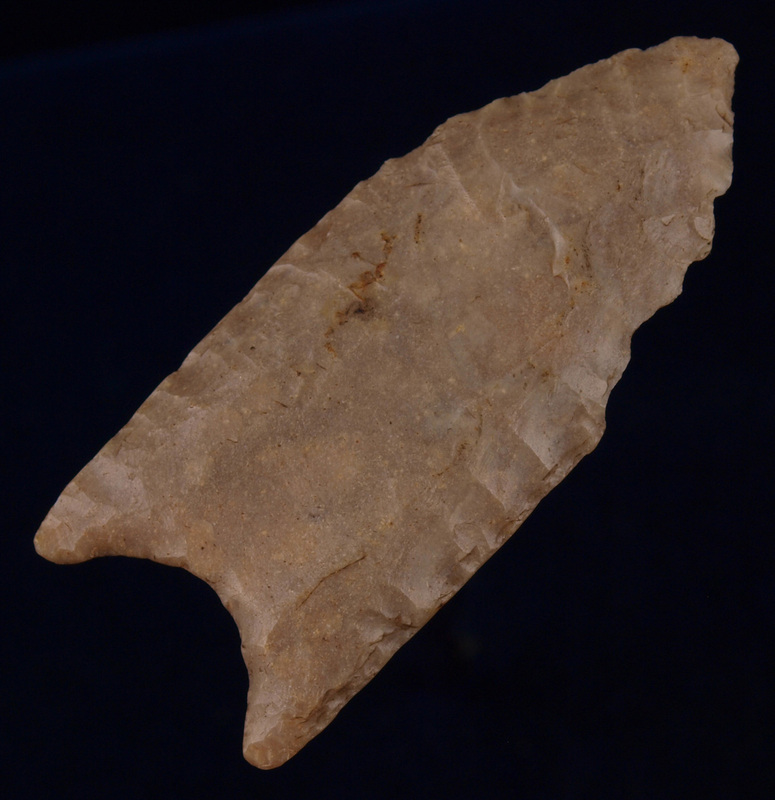 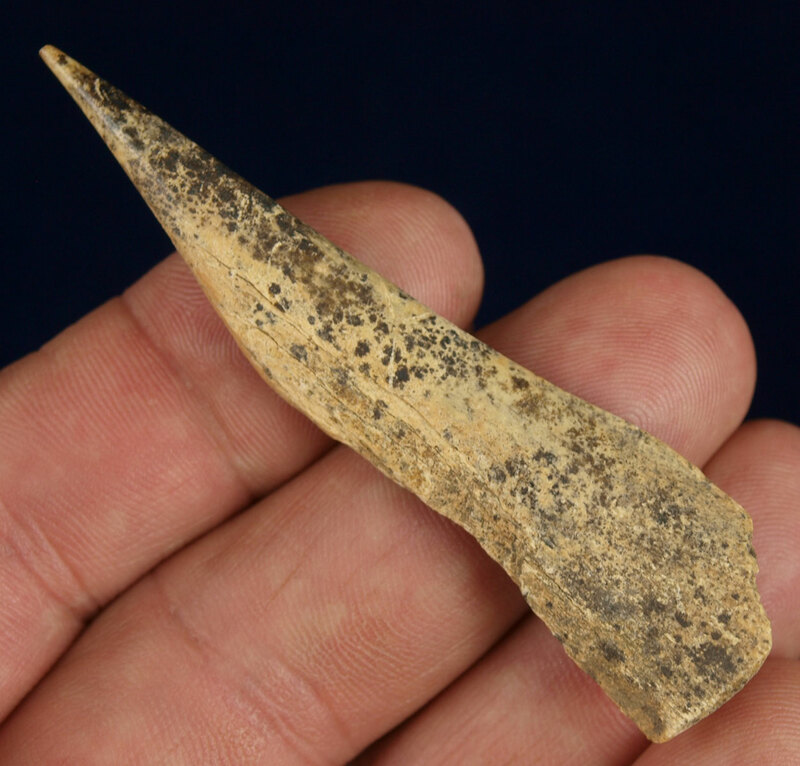 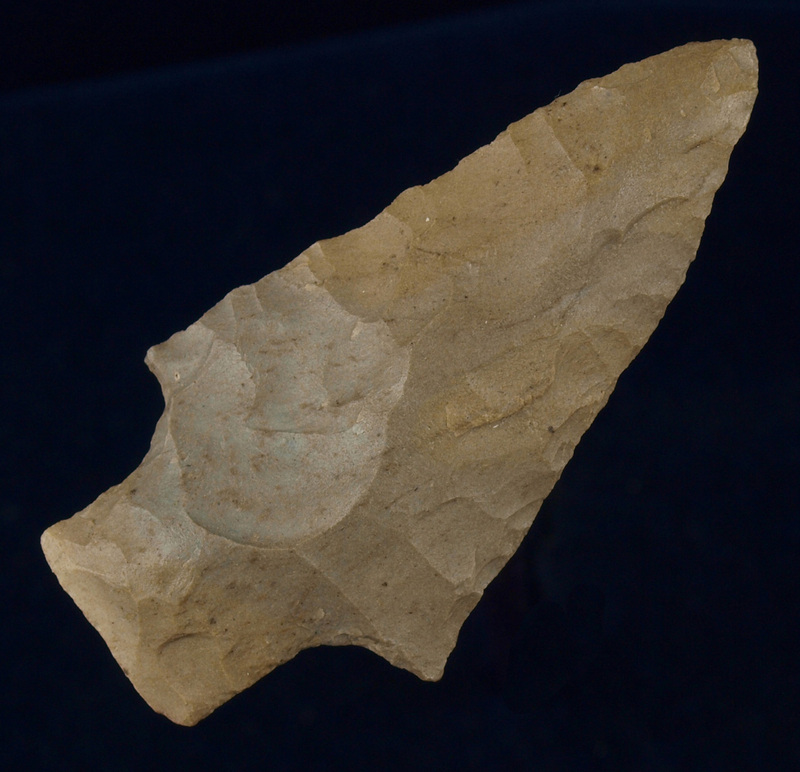 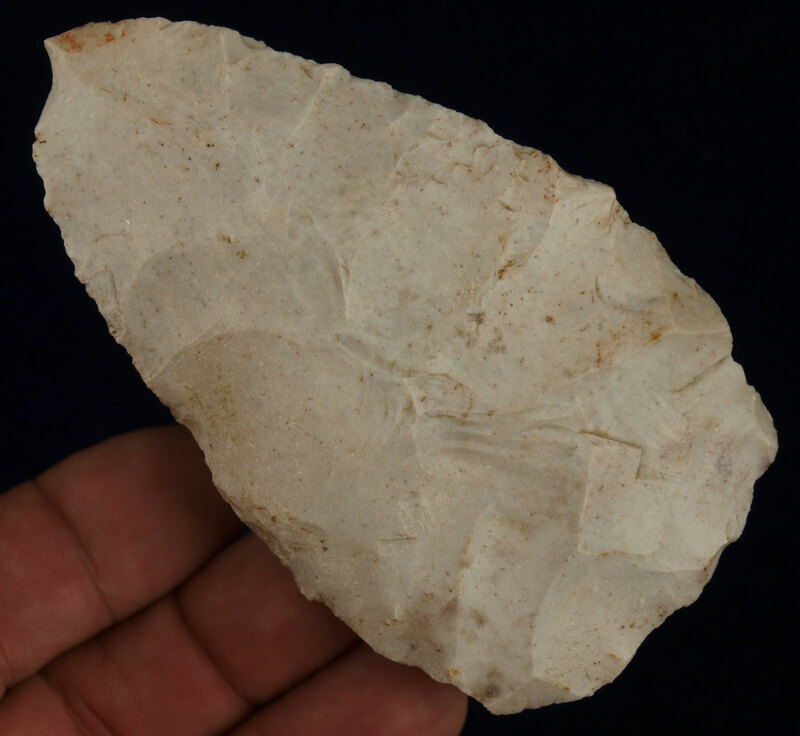 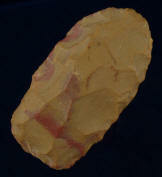 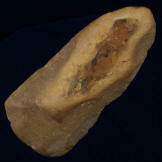 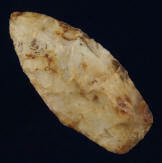 Description: Breathitt Chert Pickwick - found in McCreary County, KY. 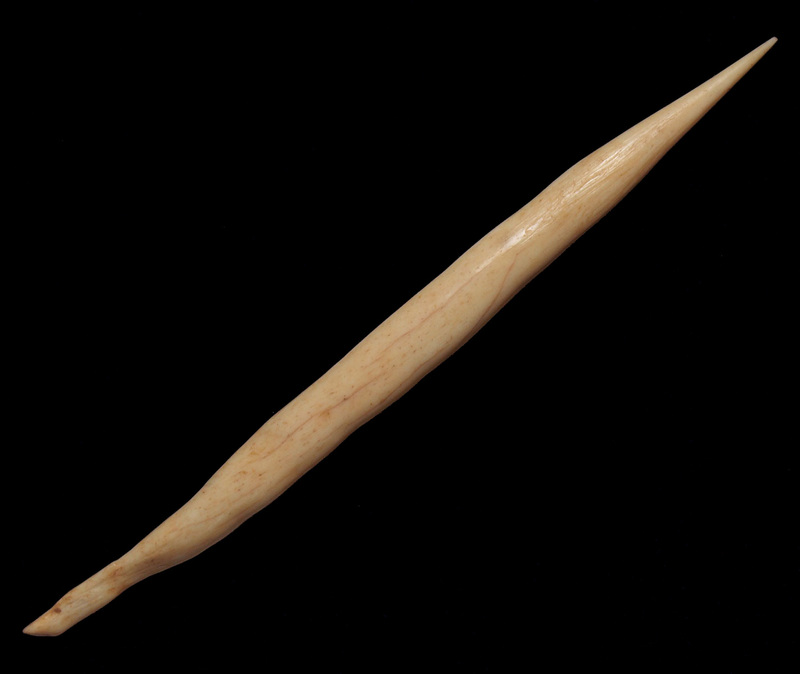 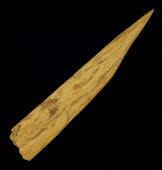 Description: Beautiful Boyle Chert Needle Tipped Paleo Hinds - Beautifully flaked, Needle Tipped. 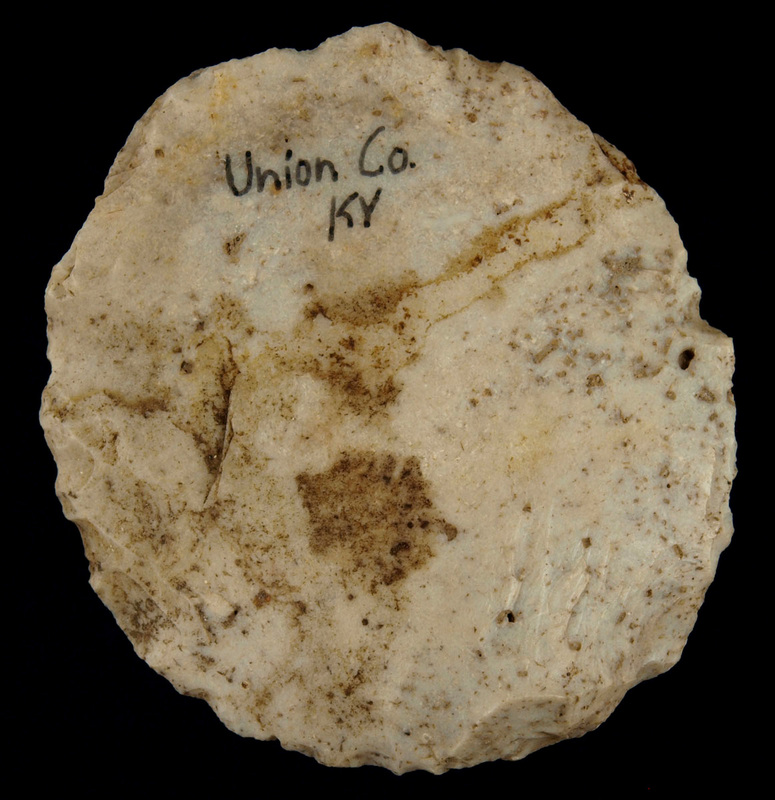 This fine example was found near Copper Creek in Lincoln County, Kentucky. 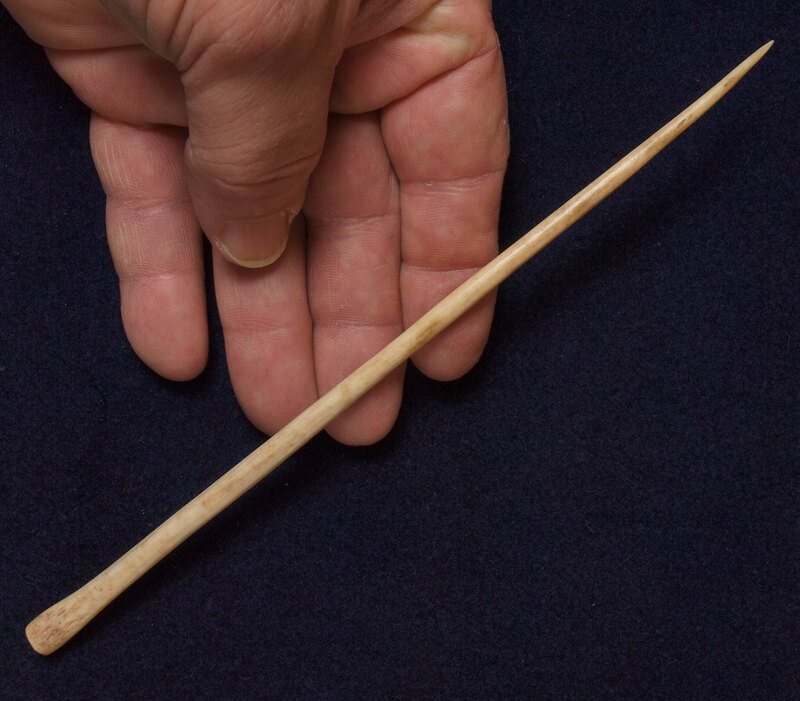 Ex- Durham, Ex- Monty Pennington. 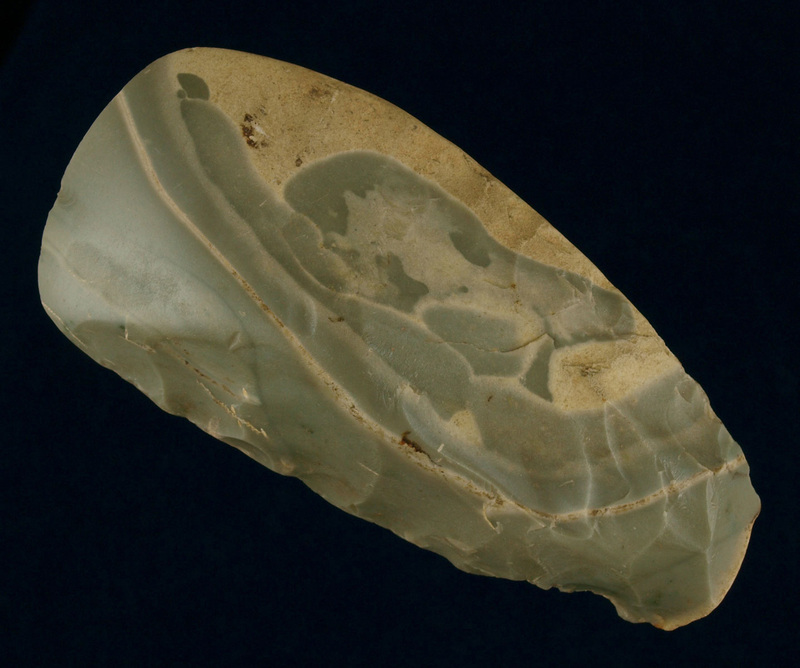 Description: Highly Polished St. Louis Green Chert Celt - This highly polished flint celt was found by James Ratliff on the Carlie Ratliff farm in Bath County, KY prior to 1965. 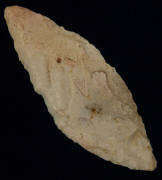 It is made from St. Louis Green Chert that has been highly ground on the sides. 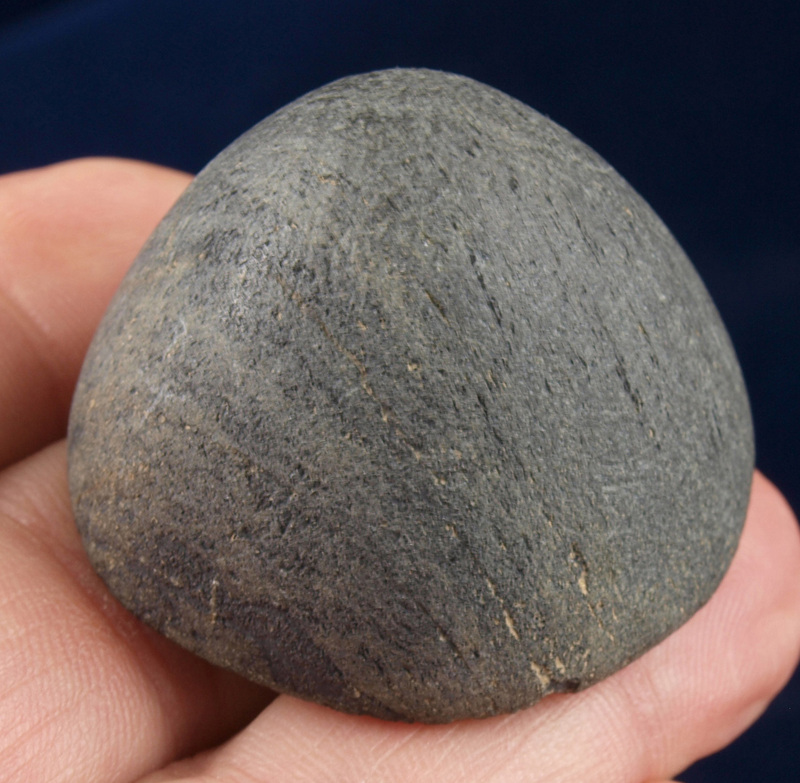 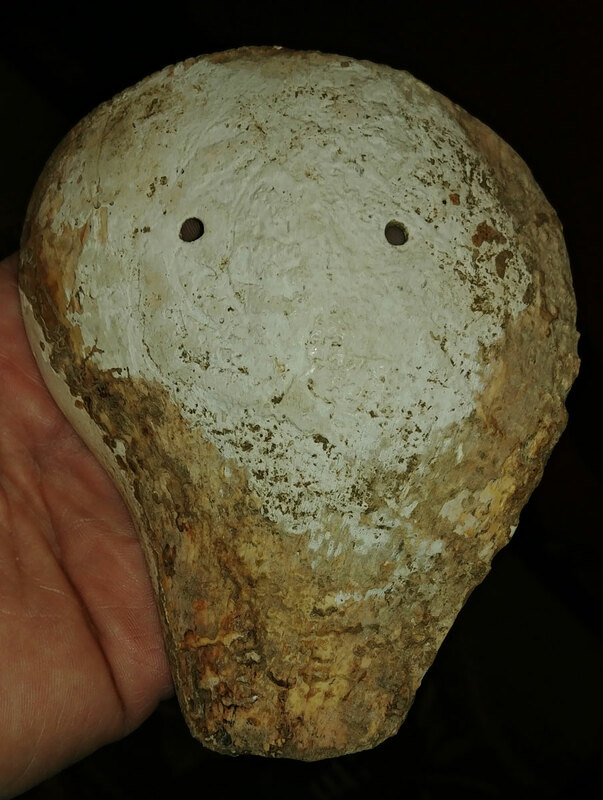 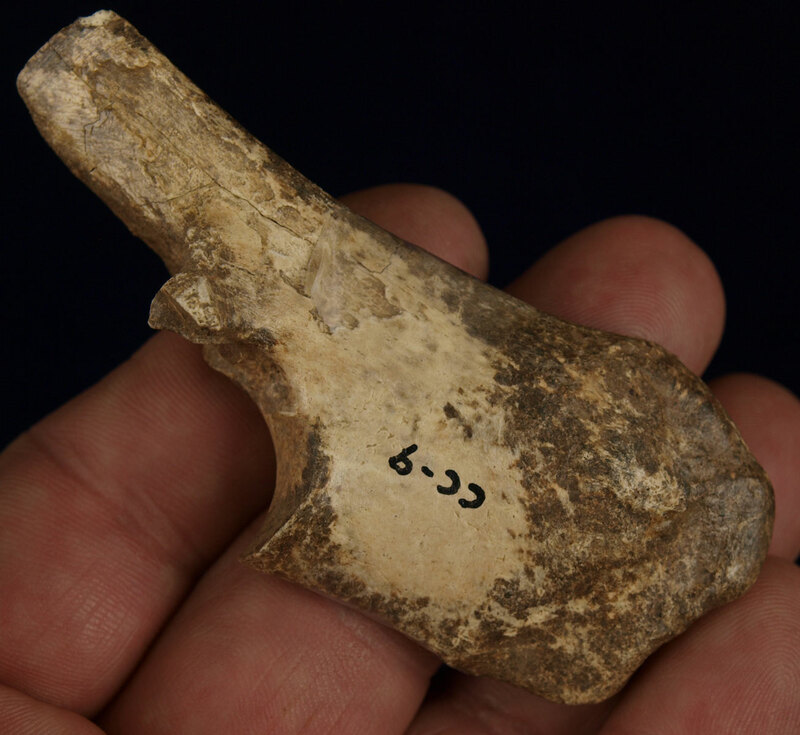 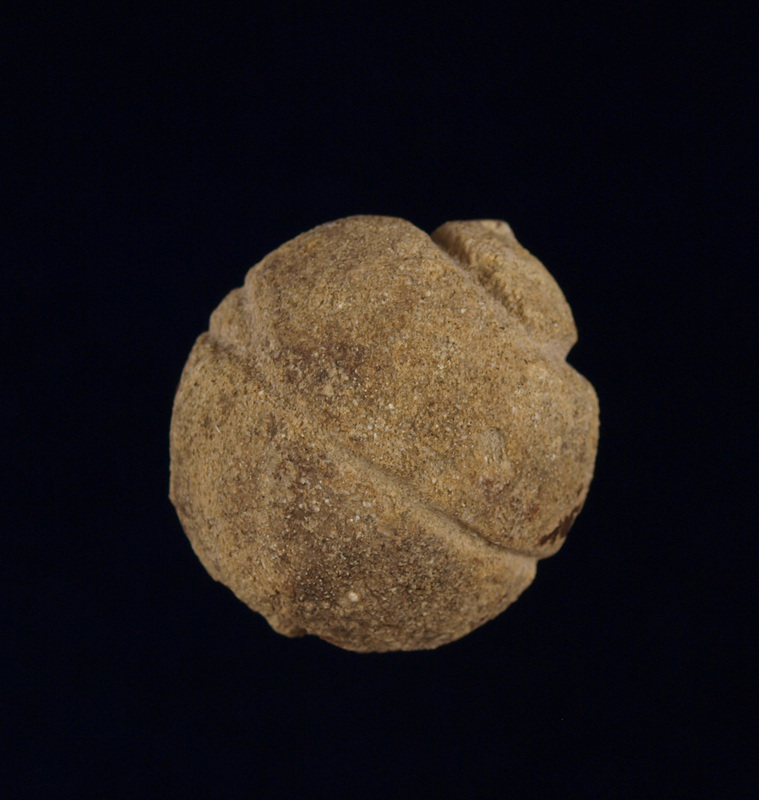 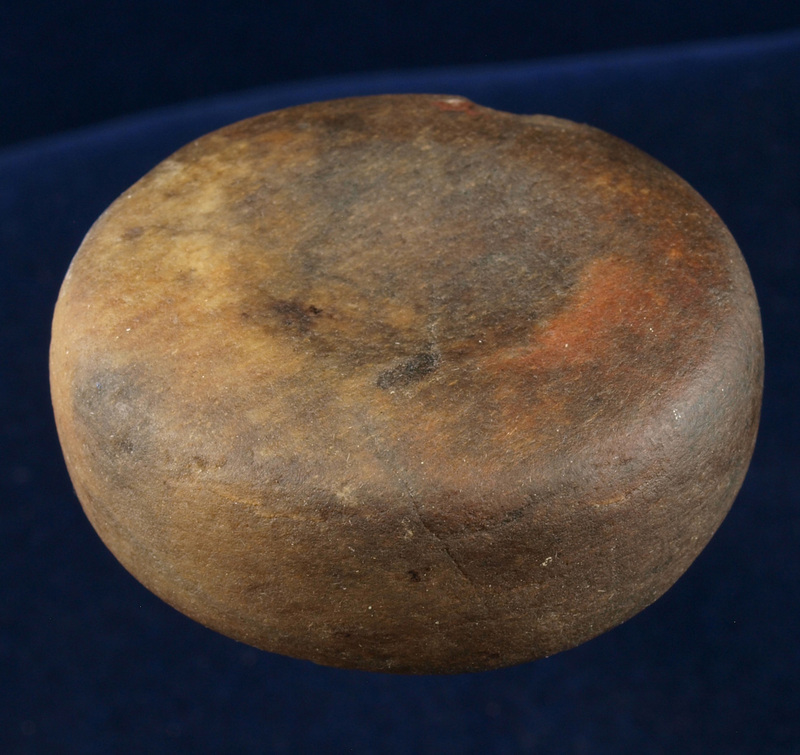 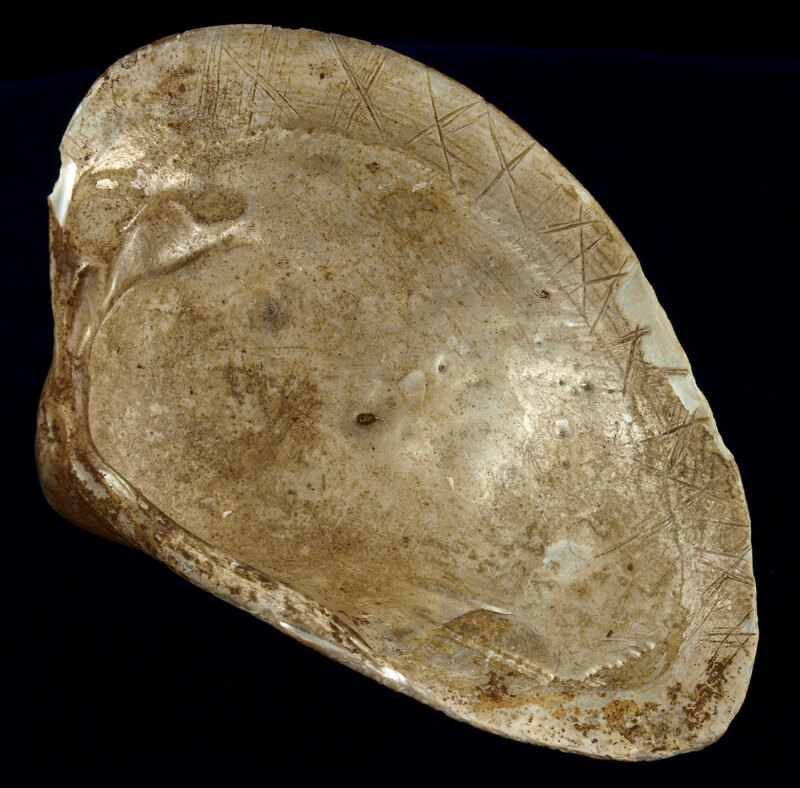 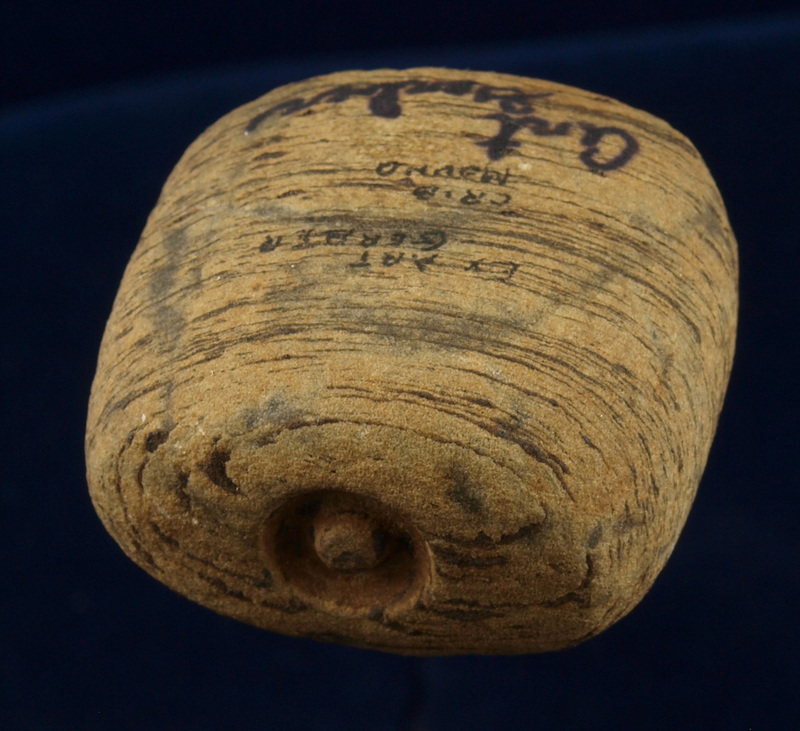 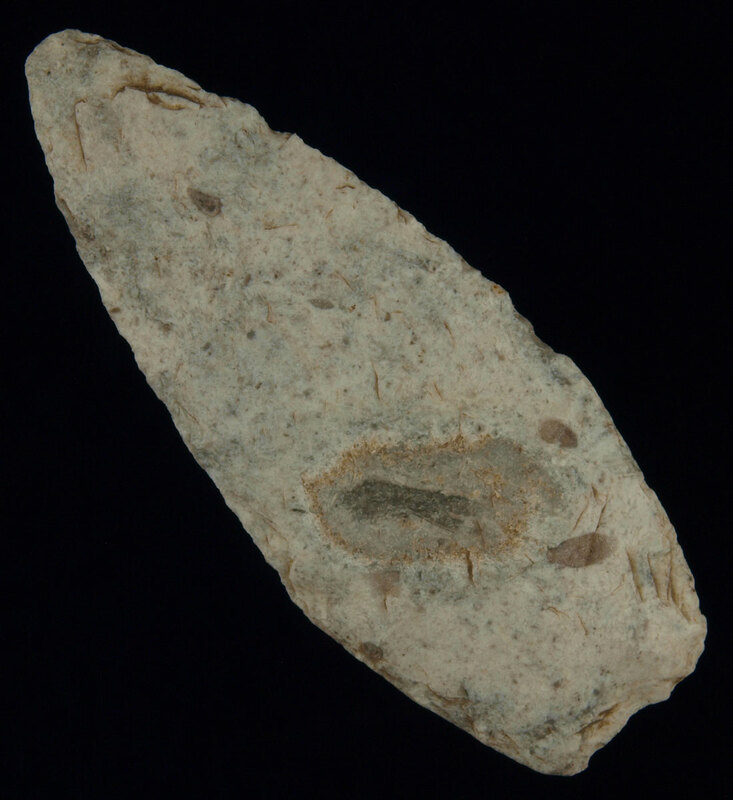 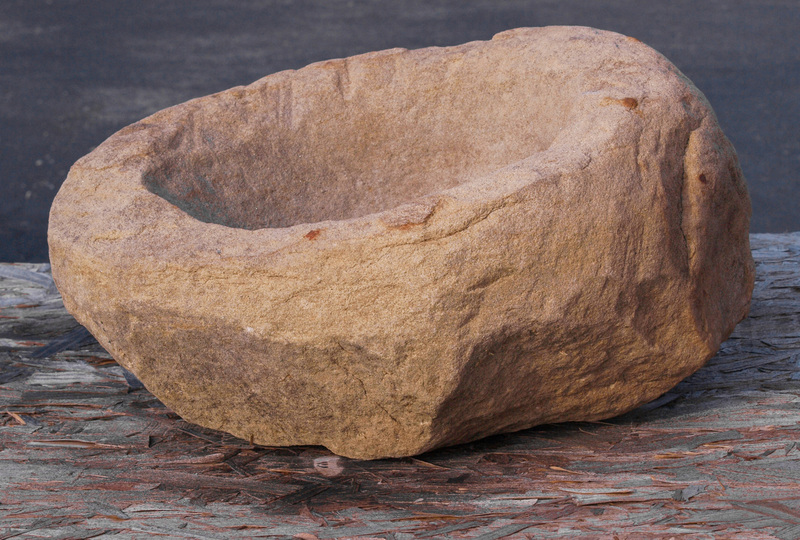 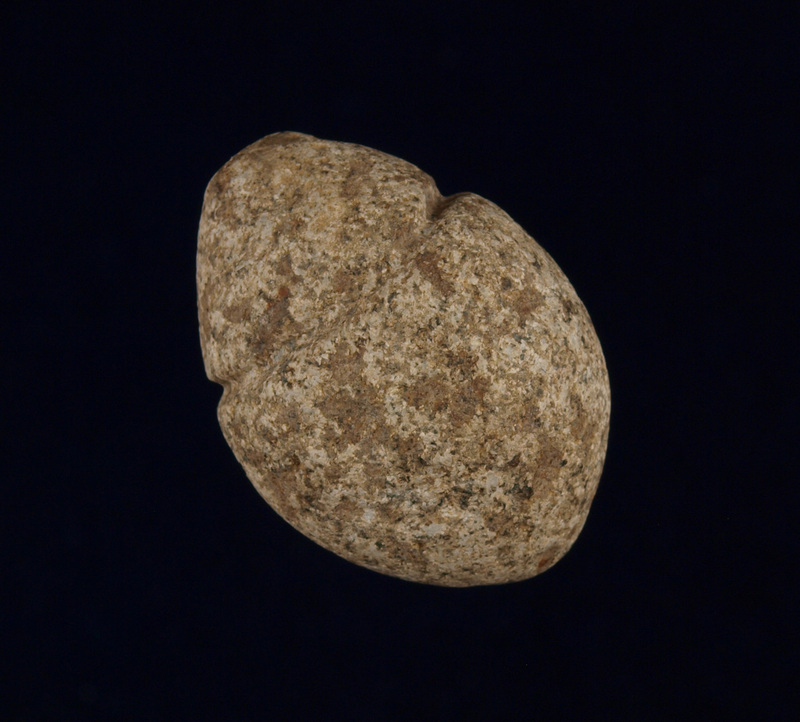 It was produced from a smaller nodule and has quite a bit of inner cortext remaining on it. 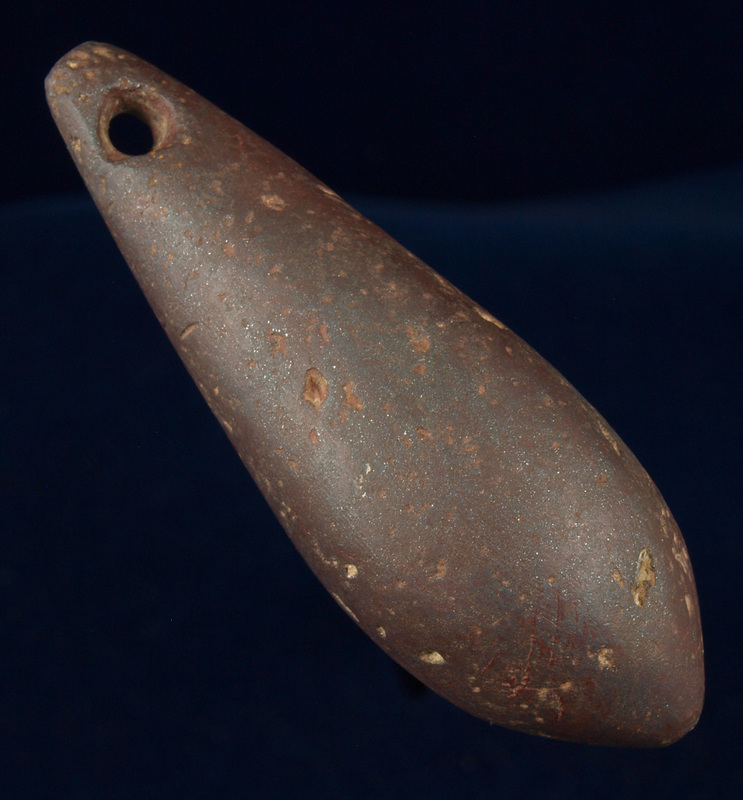 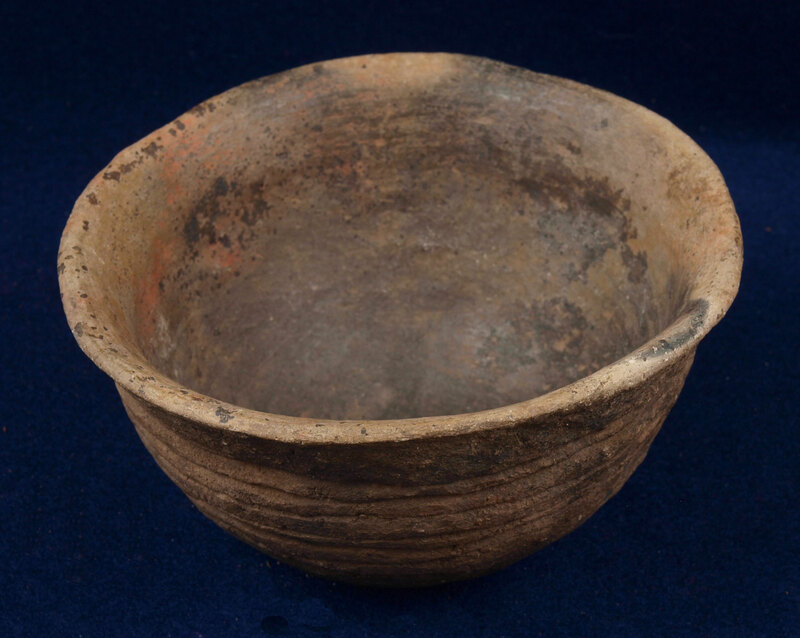 It has some very nice mottling and lines patinated into it. 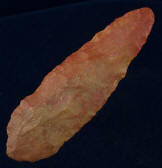 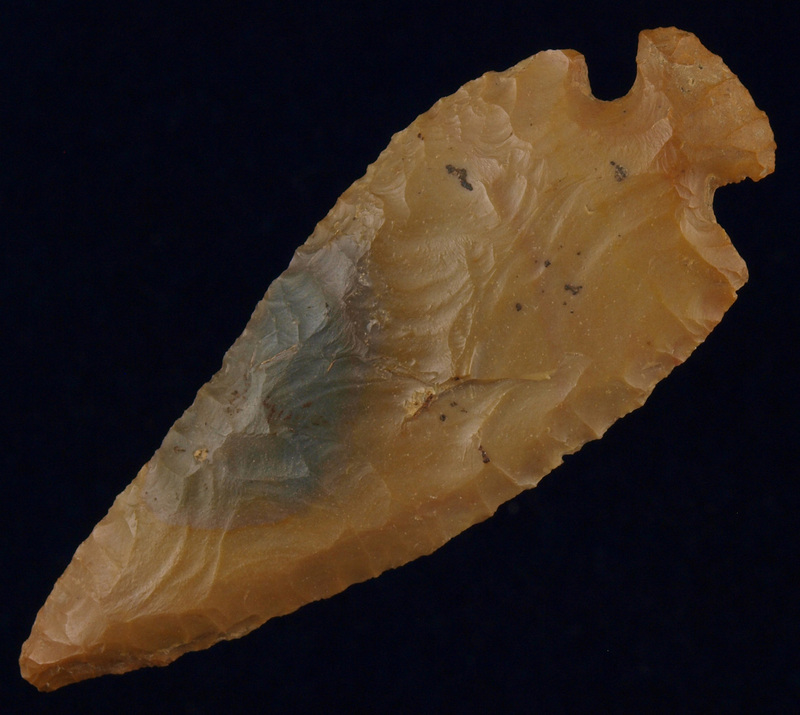 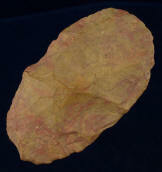 Description: Burlington Chert Preform or Blade - found by Donnie Wills.